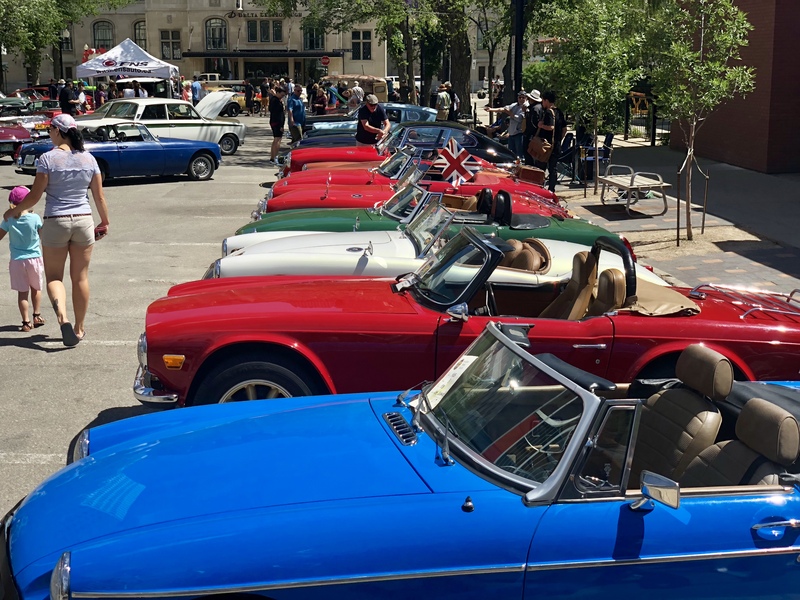 The Saskatchewan British Car Club annual car show called "Brits by the Bess" was one show that turned heads driving through downtown. 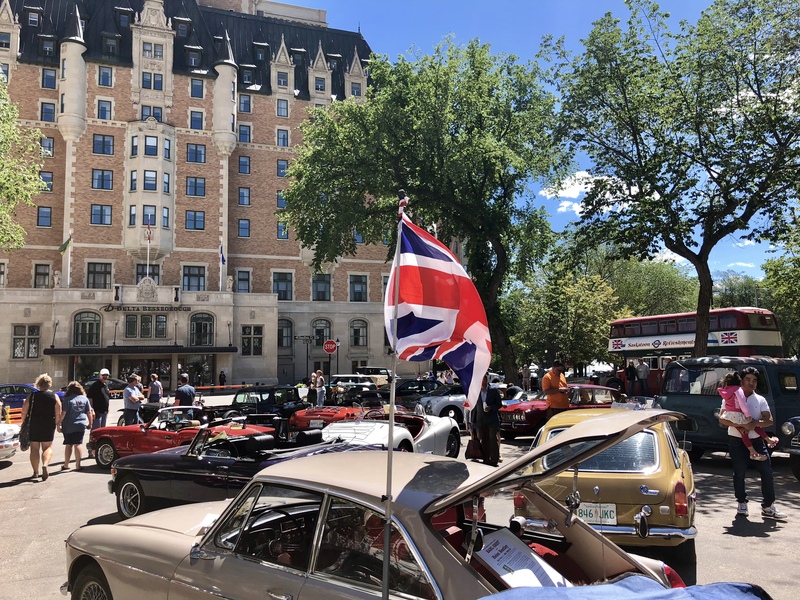 Located in Saskatoon in front of the majestic Delta Bessborough Hotel and beside the famous little red ice cream shack that was once an old British style bus — this wasn't any ordinary car show by any stretch. 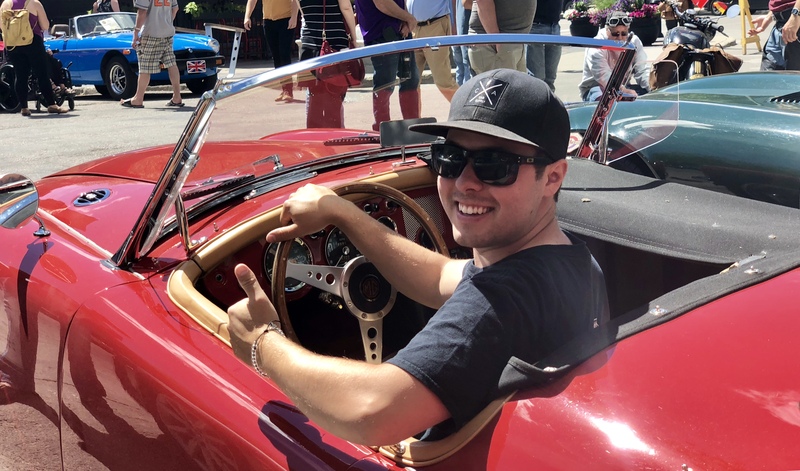 This annual event attracts 70 to 100 vintage British automobiles and members are encouraged to dress for the era of the car they are showing! This was such a cool little Show and Shine to attend. 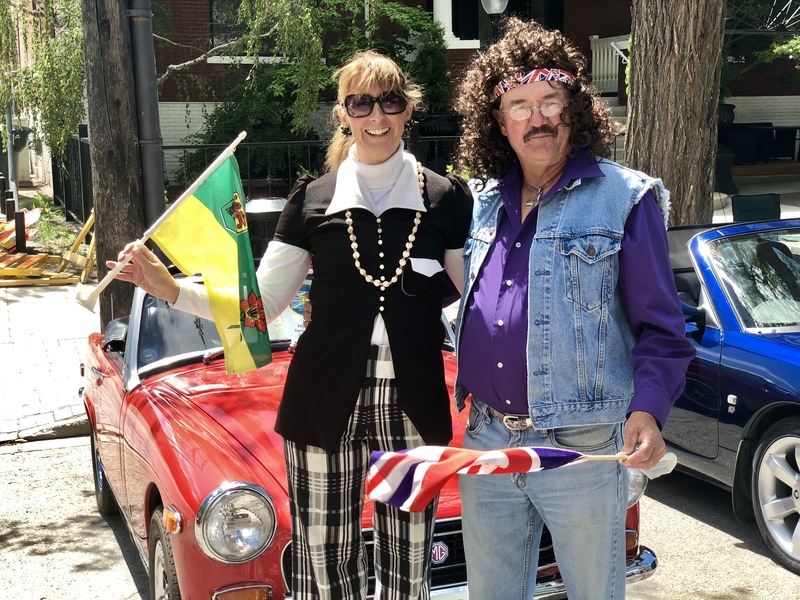 With the scenic backdrop of the Delta Bess and a block packed with car enthusiasts and British automobiles, Brits by the Bess is one 'Groovey' car show!